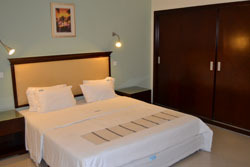 Pemba hotels, accommodation and places to stay. Guide to where to visit and where to stay in Pemba Mozambique. Information on Pemba Mozambique, location of hotels, lodges, camp sites, guest houses, bed and breakfasts and places to stay in the Pemba area of Mozambique. 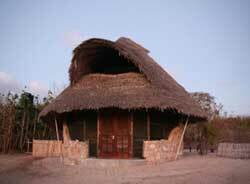 Distances from major attractions to Pemba and information about shops, fuel and facilities. Pemba is in the far north of Mozambique and is another world all to itself. Pemba town is a bustling area and the best beaches in Pemba are found out at Wimbi beach just a few kilometres from the town. Wimbi beach near Pemba is where most of the accommodation and hotels for Pemba are located, with 5 star Pemba Beach and friendly Russels backpackers along the same 12km sandy Mozambique beach and a selection of hotels and restaurants along the way. Pemba is also the stepping stone for flying out to the Quirimbas Islands that dot the Indian Ocean offshore. Pemba town in the far north of Mozambique is a bustling area and the best beaches in Pemba are found out at Wimbi beach just a few kilometres from the town. 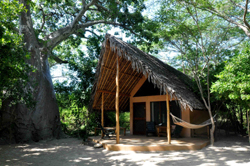 Ulala Lodge is located in Murrebue, in an old coconut farm on a 300m long beach, close to Pemba (30 minutes from the city centre, 25 minutes from the airport), in the North of Mozambique. This former coconut plantation is an ideal base for those looking for calm and contemplation, the sense of isolation which encourages rest and relaxation. The beauty of these huge schools of white sand, uncovering the tidal sandstone, lined with a turquoise and clear, will satisfy the dreamers. The Resort is the perfect choice to unwind in style after a safari journey in the great African outdoors, and discover the untouched beauty of the Mozambican nature. 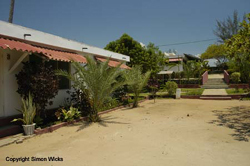 With an excellent location by the Wimbi beach Russels place is a backpackers place and offers simple budget accommodation with friendly knowledgeable staff, a great place to meet people, a lively place, especially at weekends (Pizza served on Fridays and Saturdays !). 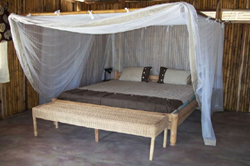 Offers camping, dorm beds and chalets and can arrange activities. Pemba Arti Lodge is nestled in the stunning bay of Pemba at the far north of Mozambique that offers exceptional sight seeing, variety of corals and sea life, making it a paradise for diving.You will enjoy comfortable accommodation and refined French cooking in a wonderful and quiet environment ideal for rest. Martine and Arnaud respectively PADI Divemaster and Instructor who will welcome you, organise dives close to the lodge, water sports, mangrove trips, snorkeling, walks and many other activities to discover. They can also help designing your tour in the region. 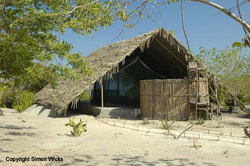 Pieter‘s Place is located 5 minutes on foot from the main Wimbe Beach in Pemba, next to Reggio Emilia. 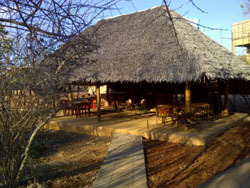 Comfortable rooms are set in a small but lush garden below a massive, ancient baobab tree. It is a friendly place with a small restaurant, so you can take all your meals there if you wish. Pieter's Place is within walking distance of the bars and restaurants along Wimbe beach should you want to venture further afield. 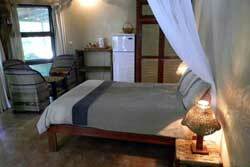 Bedrooms are en-suite with hot water and fans, a small fridge and facilities to make coffee and tea. 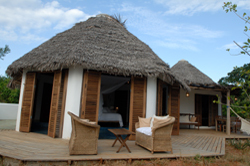 Beautifully located in Pemba - Cabo Delgado in the North of Mozambique on the Indian Ocean, Kauri Resort enjoys an enviable position in every sense. Imagine the smell of the ocean and the sound of the waves breaking on the shoreline as you wake from a relaxing sleep. Kauri Resort offers 22 quality rooms, 4 houses, 15 chalets and 1 executive suite with facilities, situated in a prestigious beach front location within the Pemba Bay. 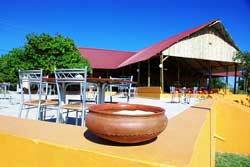 Kauri Resort is a 15 minutes drive from the Pemba International Airport and the Pemba City Centre. On beautiful Murrebue Beach, near Pemba, in the far north of Mozambique, you will find our little “Island Style” resort on the Mainland. Just a few minutes of 4×4 driving from the hustle and bustle of Pemba (the capital of the northern province of Cabo Delgado), il Pirata’s three en-suite beach bungalows and fabulous restaurant hide away can be found on the endless and un-spoilt velvet white sands of Murrebue. 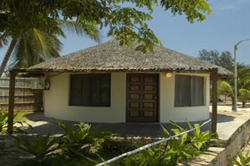 Chuiba Palms Beach Villas, a self-catering and Bed and Breakfast development on Pemba's finest beach. 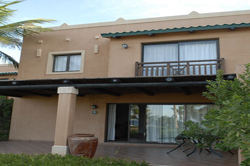 Our four beautiful and fully-equipped beach villas are the only accommodation on over 5 km of truly unspoilt beachfront. Chuiba Palms Beach Villas is a great choice for families, small groups and those who want to enjoy the best of Mozambique's coastline, while remaining within easy reach of the facilities of Pemba. Set on ten hectares of untouched nature, nestled in the dunes, with a dazzling sandy beach spreading for kilometres, its transparent warm waters and a rich Biodiversity, Chuiba Bay Lodge is the romantic getaway retreat in beachside comfort. A natural Jacuzzi and Talassa Spa, in perfect harmony with a tropical atmosphere, Chuiba coral reef coastline invites the Nirvana State of Mind where most earthly needs and simple wishes are attended to. 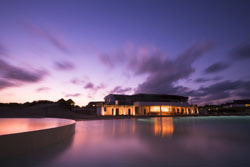 This hotel and spa complex on the beach in Pemba has it all, location, service and style. Great activities available: diving, snorkelling, fishing, sunset cruises and more, if you want to be spoilt this is an ideal option. 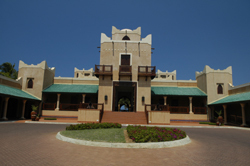 Rooms, suites available with breakfast, dinner and lunch included as well as beach front self-catering villas. On a remote part of the Pemba bay this exclusive lodge has it’s own distinctive style, each villa is unique in design and offers king sized bed with English homemade mattresses, exclusive Belgian bed linen, air conditioning, a luxurious bathroom with outdoor shower and a romantic private teak deck with beautiful sunset views.Fantastic food and friendly hospitality presented with style in an exciting romantic location. 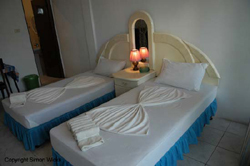 Nautilus Beach Resort is on the lovely Wimbe Beach and occupies some of the best stretch of beach. 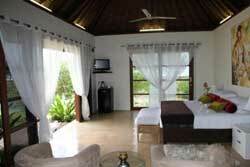 Nautilus has 20 chalets each equipped with toilet, hot water, television, fridge and air conditioning. Nautilus also has a restaurant with both in door and terrace seating and a swimming pool. Set near to the lovely Wimbi beach these beautifully equipped self catering villas are a luxury home away from home, within the complex are two swimming pools, body spa, gym, two restaurants, bar and an activity centre, further along the beach are several other restaurants, a dive centre and even a casino. 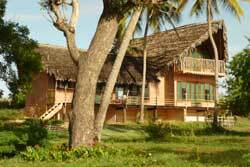 Situated along the beautiful Wimbi beach near Pemba, these pleasant apartments offer simple, clean accommodation. 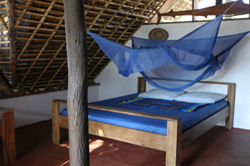 Each apartment has bedroom, bathroom, lounge, mosquito net, fan, balcony, kettle and fridge. A great alternative to being in a hotel, a place to call your own as you explore the local area, with a couple of restaurants in walking distance and the beach right in front of you. Complimentary transfer to/from Pemba airport. Squeezed between the dazzling Indian Ocean and wild African bush, Guludo Beach Lodge is in the north of the Quirimbas National Park; Guludo boasts incredible wildlife, both above and below the warm waters edge. Perfectly situated to discover these wonders, you can dive the pristine coral reefs, explore the islands, soak up the rich local culture and take in the vast African bush. As of 1st January 2015, the lodge will be closed!